the most important part of the process is always the cleanup. it almost feels like I am cheating since I am finished with this installation a week before the opening rather than the day before. This has been the biggest advantage to working both during a break when the university is closed for an extended period and when i am living where I am working. 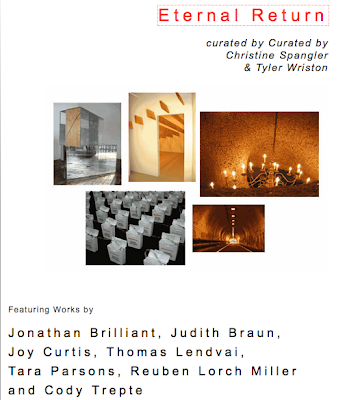 I have finished up working on the installation at USC and am now prepping for the trip to New York next week to begin work on “Eternal Return” at Nurtureart. 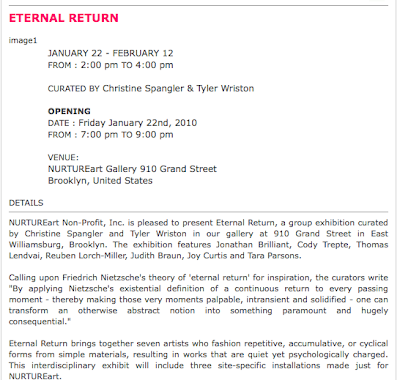 above is the press release and info for Eternal Return. 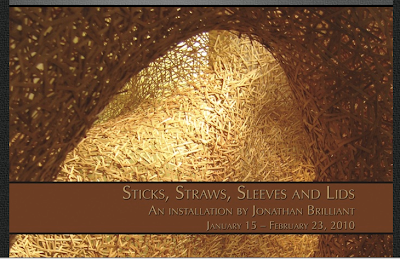 I am looking forward to people getting a chance to experience Sticks, Straws, Sleeves and Lids as it brings back many of the elements I have missed from the beginning of this body of work. Although after only 5 years of work in this direction I feel as though I am just scratching the surface of what is possible. I am always surprised at what direction this work takes me in as I learn something new with the completion of each installation, and looke forward to the lessons I will learn this coming year. I am particularly pleased to include some of the recent prints in this show as they reflect new directions I would like to take with the work.